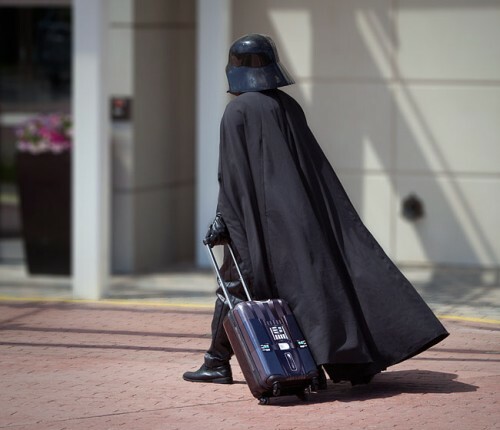 Fact: even Sith Lords have to haul carry-on. He may be able to pack the sucker up without moving much more than a finger, but Lord Vader’s STILL gotta check that bag. And you should SEE the stuff he has to take off at the Airline Security Checkpoint! It ain’t pretty. No matter where you’re heading or how much stuff you have to put in those grey bins at the airport, be sure you’re traveling in style with this 4 wheelin’ Darth Vader Luggage!